Group photograph of the pilots of the Borisoglebsky Valery Chkalov Fighter Aviation School. 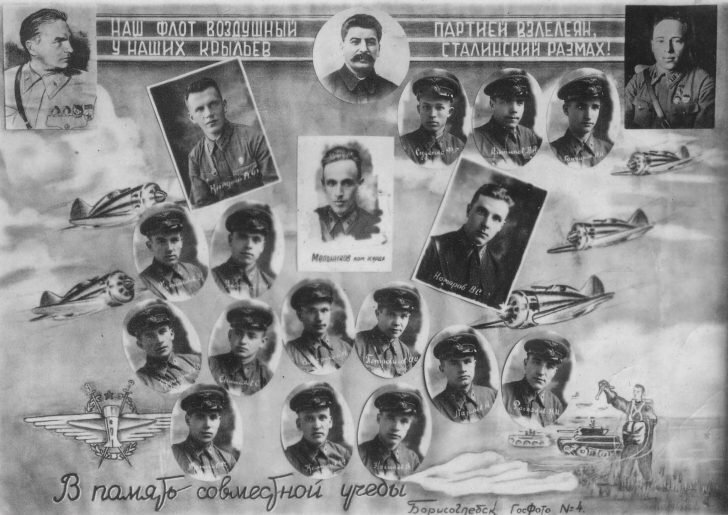 On the right is a photo of the head of the Borisoglebsky aviation school, Colonel Yevgeny Georievich Turenko (May 1940 — June 1941). In the center is a portrait of Joseph Stalin.